Large-scale projects in business and government are difficult to manage effectively. In short, they are complex and there’s nothing more complex then managing the full implementation of the Affordable Care Act (ACA). The Patient Protection and Affordable Care Act (PPACA), passed in 2010, is the health care reform law that promises to provide less costly and affordable health care to 97 percent of the American population. It increases access to affordable health insurance for the millions of Americans without coverage and makes health insurance more affordable for those already covered. In addition, ACA makes numerous changes in the way health care is financed, organized and delivered. Among its many provisions, ACA restructures the private health insurance market, sets minimum standards for health coverage, creates a mandate for most U.S. residents to obtain health insurance coverage, and provides for the establishment of state based insurance exchanges for the purchase of private health insurance. However, there were problems with the ACA website and canceled insurance policies. In 2014, the Obama administration came under fire over the poor operation behind the ACA website, which was the central marketplace for “Obamacare.” The HealthCare.gov website was operating very slowly at the beginning and canceling insurance plans for customers. These problems also lead to the removal of former Secretary of Health and Human Services (HHS) Kathleen Sebelius. Although the Patient Protection and Affordable Care Act (PPACA) was passed a few years ago, its implementation has taken many years. The issue facing its full implementation is how each of the 50 states will approach this law. 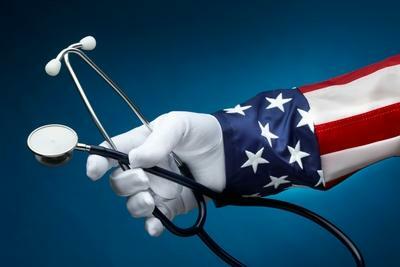 Let us examine in detail the three provisions of the Affordable Care Act. 1) Implementation of market reforms. 2) Establishment of new health insurance marketplaces, also known as exchanges. 3) Expansion of Medicaid eligibility for low-income adults. States varied significantly in their approach to implementing the three major components, but were most likely to take new action to implement the market reforms. These reforms include access to coverage for young adults, a ban on preexisting condition exclusions, the coverage of a minimum set of essential health benefits and a ban on lifetime limits for health care coverage. To date, 32 states and the District of Columbia have taken new legislative or regulatory action on at least one of the market reforms. Let’s look at the breakdown of the ACA implementation across the United States based on the three main provisions. Ten states which include California, Colorado, Connecticut, Hawaii, Maryland, Massachusetts, Minnesota, New York, Oregon, Vermont, and the District of Columbia are fully on board with the health care mandate. They have managed to set up their own insurance marketplaces, expanded Medicaid coverage and enacted most or all of the law’s insurance-industry reforms. Other states took action to implement or enforce at least one market reform. State regulators in 32 states and the District of Columbia chose to operate their own exchanges or play an active regulatory role by conducting plan management. Seven states—Connecticut, Hawaii, Maryland, Massachusetts, Minnesota, Oregon and Vermont—fully embraced all three major components by implementing the market reforms, establishing a state-based marketplace and expanding their Medicaid program. Other states that have actively implemented the Affordable Care Act—such as California, Colorado and New York—nearly met this standard. At the other end of the spectrum, five states—Alabama, Missouri, Oklahoma, Texas and Wyoming—fully declined to play a role in implementing these components. Currently, the law is not fully implemented across all 50 states. Political opposition is the primary reason for the delay. However, there is much reason for every state to expand Medicare. The ACA creates incentives for promoting primary care and prevention such as increasing primary care payment rates under Medicare and Medicaid, covering some preventive services without cost-sharing and funding community-based prevention and employer wellness programs. The law increases funding for community health centers and the National Health Service Corps to expand access to primary care services in rural and medically underserved areas to reduce health disparities. Therefore, it is important that states get on board to expanding the Affordable Care Act. Doing so will allow citizens to receive quality health care and reduce deficits across the board. The author needs to do additional research on the states which elected to operate their own exchanges. Several of these states had major implementation problems with IT platforms, resulting in costly redesigns of initial software or having to convert to a platform from another state which started with a better IT platform. Thanks for your comments! I must protest that this article focused on the implementation of the ACA within the States, and I wish I could expand more. However, we had a limited amount of text to use so the focus was on how the implementation was done up to this point. If you are interested in learning more about the ACA, visit: HealthCare.gov.